This article is meant to assist you with the details in Adding and Maintaining Program Print Templates. You must be an Agency Administrator to access the “Administration” menu on the left side of your Workspace. Go to “Program Settings” and click on “Program Print Templates”. 1. 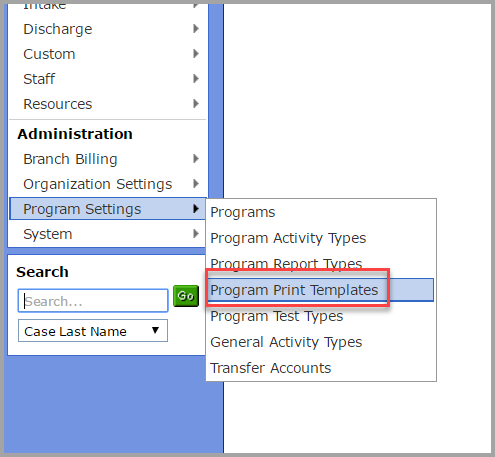 Once in “Print Templates”, select an existing print template from the list or create a new one by clicking “Add Program Print Template”. 2. 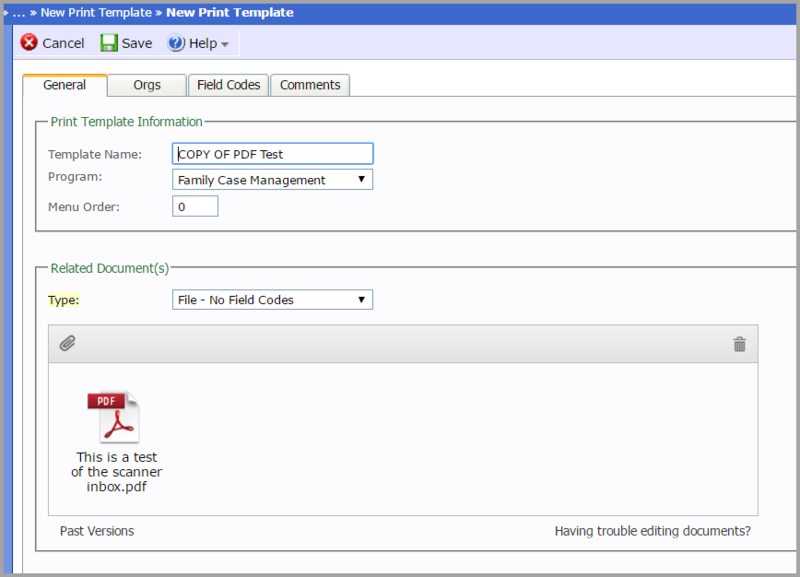 If Cloning a Print Template, click on “Clone Print Templates” within an existing Print Template. 3. If editing an existing Print Template, click on “Edit”. 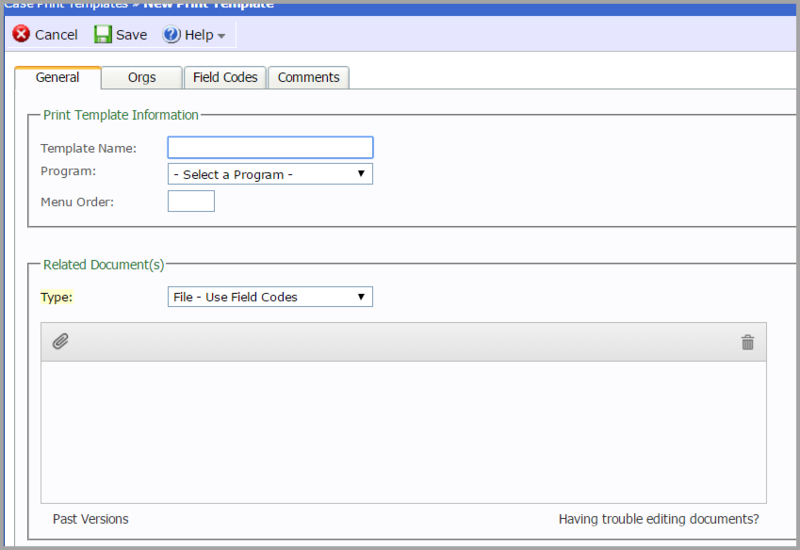 Program A drop-down menu will be available, if this is applicable to your agency. Narrative Click on the trashcan icon to delete an attachment. First highlight the attachment, then click on the trashcan. Past Versions Click here to view Past Versions of attachments. “Having trouble editing documents? Click here to access assistance. 7. Print Template is now Complete and Printable. Your new Print Template is now accessible from your Workspace within a case, and usable in your agency’s workflow. Click on Print Template name to open document.